December 6, 2018 Robert W.
Fast sign printing near me is a good search term to use when you are at the convention or trade show venues and are looking to get banners and signs made fast. There are many reasons why you might need fast sign printing, but rest assured that there are many sign stores in Las Vegas that want to provide you with your graphics at a reasonable cost and quickly, because they realize that your company is here for a show and time is important. Las Vegas is host to hundreds of conventions and events yearly and that attract millions of people top Las Vegas. While most people think of Las Vegas as a gambling mecca, they would be surprised to learn that Las Vegas is the king of trade shows and conventions. The biggest and the best trade shows happen in Las Vegas like CES ( Consumer Electronic Show Convention), SEMA, Magic and many other top shows that attract hundreds of thousands of people. Las Vegas has three very large convention venues with over one million square feet of floor space each that can be divided up so they can host multiple shows simultaneously. 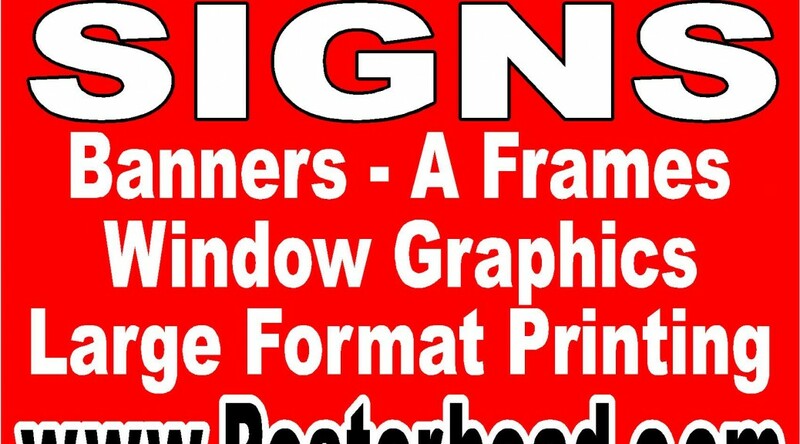 Fast sign printing near me will lead you to the right sign store that has the necessary sign making equipment to make your signs. Always beware of Vegas sign brokers who take orders and then try to get a sign company to do the work at wholesale. if they are unable to do the work, often they just walk away from the job and do not answer the telephone. A sign store is a professional that has the necessary high speed printers and materials that an do the job correctly and quick. They utilize fast printers capable of printing several hundred square feet of material an hour.